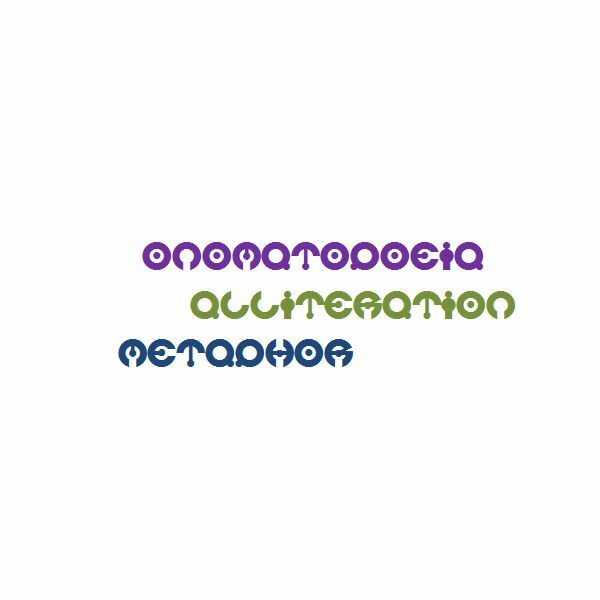 Objective: Teaching metaphor, simile, alliteration, onomatopoeia, and other literary techniques can be enhanced by poetry written in free verse. This not only allows the student freedom from traditional rhyme and meter, it also challenges them to look outside the proverbial box. Assignment: Begin this language arts project with the following items. A handout of literary techniques. Photographs or art work to use as prompts for writing. An alternate prompt might be a list of characters from literature to describe or situations in current events. Once the prompt is chosen, have students pick one literary technique that they will then use to describe the prompt. (Literary techniques can also be placed on cards that the students pull from a hat.) Now, have students place their description, written using the literary technique chosen, on a white board or flip chart, building on the line previously written. For instance, student 1 chooses alliteration. 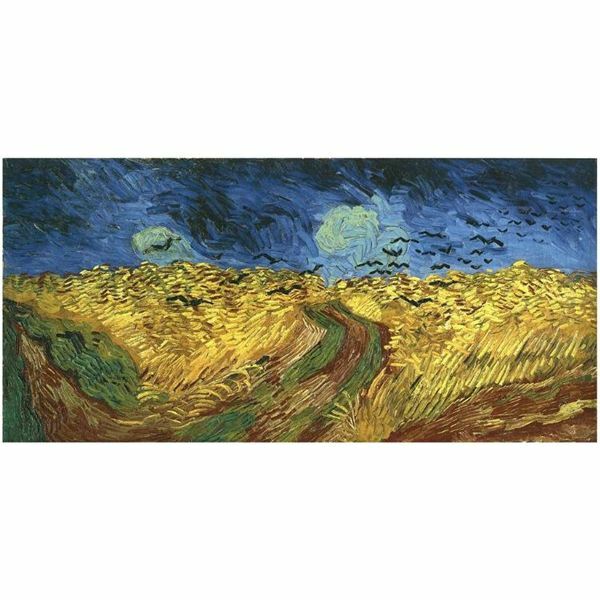 The prompt is Van Gogh's painting, Wheat Field with Crows. Student 1 writes, "Wildly waving wheat, tempest tossed." Student 2 might pick onomatopoeia, "Crows caw overhead." Student 3 has a simile, writing, "Like sirens' calling the sailor in from the sea." The sailor in from the sea. This project can also be done individually with each student using a different literary technique for each line of a single poem. Looking at this picture, what colors do you see? Can you associate them with any of the senses? For example, "Tomato soup sunset tasting of lunch specially made on a cold winter day." Can you add texture with the words you use? For example, "Walking over the corrugated sand where the rough tongues of salt waves nibbled at our tender feet." Are there sounds that you hear when you look at the picture? Can you describe those using musical terms? For example, "A timpani rang out from the assorted masts bobbing like metronomes in the wind." Objective: To introduce the history of words. Assignment: Like archaeologists, students can unearth words, discovering the history of words, finding synonyms, antonyms and spin-off words. This language arts project can be designed around various subject matter, or themes. For instance, if the students are studying the history of South America, a word list of terms linked to the rain forest, the Amazon or the Inca and Mayan cultures could be assembled. Alternately, a word list based on themes such as winter holidays, or world sports, etc. could be used. Once students have their words, they begin their dig, discovering where the words come from, what other words are similar or opposite in meaning, and what other words use the same root word. In addition, they can discover what language the word originated in, as well as from which time period. Learning the history of words, how they change in meaning and why, helps students understand language in a way that merely memorizing words can never do. Students can create a "family tree" for their favorite word, showing what they discovered during their "Word Dig." One of the signs of a child with exceptional talents or skills is their well-developed sense of humor. Creating "Fractured Fairytales," appeals greatly to a student’s sense of fun as well as creativity. Fractured Fairytales are a re-writing of fairytales, fables and myths with a comic or unexpected twist. A great resource for this type of writing is the book by Joan Wolf, "Cinderella Outgrows the Glass Slipper and Other Zany Fractured Fairytale Plays." This book will give students a solid platform for building their own Fractured Fairytales. Educators who wish to develop their students' awareness of multiculturalism might ask the student to research the origins of our most beloved fairy tales and fables. For instance, did they know that it is believed that the original Cinderella came from an ancient Greek/Egyptian tale in the 1st century BC? The students could re-write the tale from their cultural viewpoint. Additionally, students could be asked to research their own cultures for fables or fairytales. Do the fables/fairytales from their cultures seem to be similar to others they have heard or read? What if they combined various versions to create a Fractured Fairytale? However the teacher decides to facilitate this project, it is sure to be fun! For an entire unit plan on Fractured Fairytales, go to Fairy Tales Gone Wrong: Introducing a Fractured Fairy Tale Unit. A language arts projects for gifted students can include researching the history of words and discovering ways to develop fractured fairytales while looking through the lens of critical literacy. Give your students an exercise in creativity that can scaffold on previous knowledge and other subject matter and also lead them to critical inquiry.